What is with the Mail! Occasionally, I must vent about something and today it is the mail service. I have ordered fabric on-line for many years and always received my package of goodies within 4-7 days. Now 2 – 3 weeks………… ‘Please explain’. For me to post a package is between 250 and 500gms overseas it is $21.95 !!!!!! If the package is over 500gms and going to the States, the US government has imposed on us poor Aussies an extra $9.00 charge because they need to employ more people to do security checks……….. ‘Please explain’. Anyone out there in blogland feeling my pain? Then, please tell us about your experiences with your current postal service. I'm with you there…. I have grandchildren overseas and it costs more to pay for the postage than the item itself! Seems things take longer to get here than being sent out! I too have had trouble with the post here in the U.S. I mailed a package to my son with tracking on the package. Now I tracked the package, and it tracked all the way to the destination. Problem?? he never got it!! He is in the military, and it went all the way to his post, and then.. nothing. BOOO! I even put a return address on it, and has it come back to me??? NO! Rediculous. Have you tried calling 1-800-ASK-USPS ?? Not sure if that number will work for you there as I'm in the USA. However, they may not be aware of what is going on OR maybe they are and can help you understand what is going on…. Sorry to hear about this but hopefully, things will be figured out soon!! Hi Jane, I couldn't agree more! I nearly fell over last Xmas when I went to post 4 small packages to the U.S. having had sent Xmas pressies to my penpals for years, and having to cough up an extra $36. What rot!!! I have only this year bought some things on ebay, mainly fabric but also perfume a couple of times. The last lot I bought was 16th Sept and it still hasn't arrived. Last month I sent my daughter in Sydney a parcel by express post, as it needed to get there quickly and she is not in good health. The postman did not even bother coming to the door, he left a note in the letterbox and then someone had to go to the Post Office to collect it, despite someone being home all day!! When I complained to Australia Post, their reply was " we are not a courier service" I was so angry. Can't complain about service which is non-existant. (getting off my soapbox now ………..) Sandy. seem we all feel the same way. I don't trust the postal service at all and always watch my e-mails to make sure that hexies and swaps get to their recipient. Why does it take 3 weeks to come from Canada and only about a week from UK.My sister-in-law said yesterday that her daughter had ordered something from Scotland and it took 6 weeks to arrive, having been posted the day the order was received. Think it must have come by boat!! Don't know what the solution is. Ahm USPS is the bane of my life. It takes about 4 days for me to post from the UK and get it received in the US, but the other direction is currently around 6 weeks! However their tracking does provide entertainment. I received some fabric recently that spent 3 weeks in NY going from various Manhattan locations to Jamaica (NY) and back, finally it went to Chile(????) the to the UK, the envelope got wet, they packaged it up in a plastic bag still wet. I did finally received a smelly mould pile of fabric weeks after I had bought it. The only good point was Royal mail didn't charge me import duty on it because it was ruined. Post from the USA to the UK is usually quick but……..why do I have to pay the Royal Mail £8 to open a package, I'll willingly pay the vat and customs but it seems there's no way to do that in advance.. A great way for the Royal Mail to make money!.. It's about time the Import allowance was raised. £18 is a joke! I'm piping up from the UK and we too have huge prolems. I posted to OZ three weeks ago and neither package has arrived yet. I've just had a small amount of fabric arrive from the USA in 3 days but a parcel posted in March has vanished into the ether. Postage costs are grim but far worse are the customs charges. If the order is merchandise more than £18 declared value, you'll get charged even if you are a penny over. The ransom is £8 plus any VAT at 20%. The ransom is Royal Mail's reward for delaying your post for 3 weeks and often damaging it! Oh and for gifts it is £60 before the ransom is applied. It is worse than daylight robbery Off my soapbox….. SORRY! FOR ALL THE EXTRA SECURITY+EXTRA CHARGES WE CAN THANK THE TERRORISTS! IT'S A SAD+SIN-FILLED WORLD WE LIVE IN. The USPS is always crying about needing money, but it's the only business I know that won't stand behind what they do unless you pay more for insurance. Then they have an auction for all the things that don't make it to their destinations. Can you imagine if we all ran our business like this. I definitely feel your pain. Australia Post charge horrific prices compared to other countries and their service isn't the best. Well, be thankful your stuff arrives eventually. 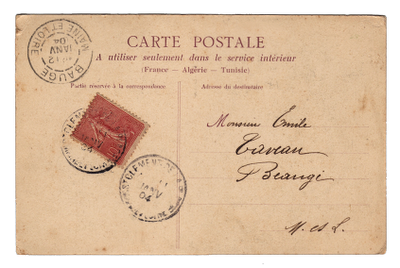 I have given up on the post in Tunisia–it's even longer than what you describe, and sometimes stuff just doesn't get there. Then, if something is from abroad, it will probably get a tax slapped on so you have to pay further. Or it may just get stolen. Truth to tell, most of the time it more or less works, but it's just not worth the irritation. Thank heavens for email. The problem may have something to do with how employees are treated. To work for the postal services 30 years ago was a good thing–a steady job with benefits (health insurance, paid vacation, retirement, etc)–so employees did generally reliable work. Now, in an effort to cut costs, so many people are hired part-time so benefits don't have to be paid. How many people work these days without a retirement plan? You get the point. I think we're looking at a serious social problem. I agree with you Jane. Postal charges are getting higher and higher and services are getting worse and worse. Obviously a hot button topic. Postal services are undeniably frustrating but perhaps we should be supporting our local quilt shops like we used to. Save mail order for Tunisian quilters or friends from the bush. As for asking the postman to carry express parcels around by foot, how much can one person carry on their back? Perhaps you should be using a courier for that sort of thing.